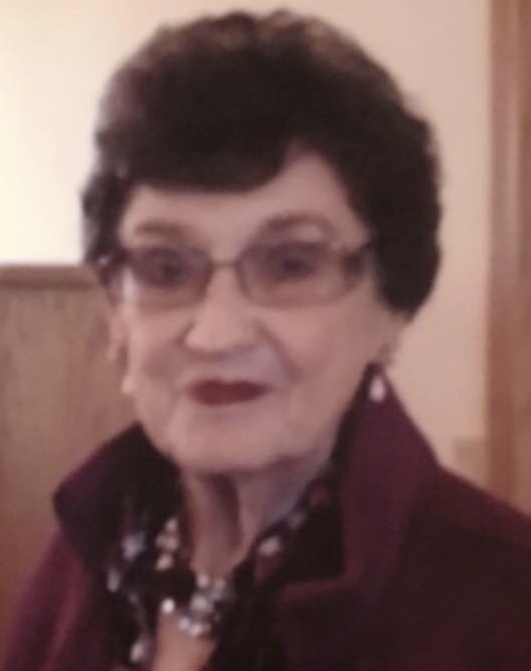 Patricia Rosina Stewart, age 84, of Switz City, passed away 8:03 A.M. on Thursday, October 18, 2018, at Terre Haute Union Hospital. She was born in Linton on July 29, 1934, the daughter of Ernest Fredrick & Lovina Faye (Gabbard) Nolting. Patty worked as an office and finance manager for REMC, retiring after 43 years of service. She began working at Walmart in 2000, remaining there throughout this year with 18 years of service. She is survived by her son, John E. (Angie) Stewart, II, of Switz City, two half-brothers, Jerry Ray Nolting of Newberry, SC and Freddie Jay Nolting of Ft. Wayne, two half-sisters, Phyllis May Kochel of Logansport and Doris Kay Griffith of Goshen, and two special grandchildren, Tyler Gwaltney & Kaylee Buckallew. Patty was preceded in death by her parents, her husband, John Earl Stewart, I, and a brother, Ernest Nolting, Jr.
Funeral Service will be held at Welch & Cornett Funeral Home in Linton at 11:00 A.M. on Wednesday, October 24, 2018, Reverend Jack Shake officiating. Burial will follow at Switz City Cemetery. Visitation will be held at the funeral home on Tuesday from 4-8 P.M., and Wednesday from 10 A.M. until the time of service. Online condolences may be made to the family at www.welchcornett.com.